Rockland, Maine, October 2, 2018 —The Center for Maine Contemporary Art (CMCA) invites the public to a conversation and book signing with artist John Bisbee on Saturday, October 13, 2018, from 3:00 to 5:00pm. The event celebrates the release of the exhibition catalog, American Steel, and serves as a closing reception for the final weekend of the acclaimed exhibition. Hours: June through October, Monday – Saturday, 10am to 5pm, Sunday, 12 to 5pm; November through May, Wednesday – Saturday, 10am to 5pm; Sunday, 12 to 5 pm. Closed Federal holidays. Admission: $8; Seniors (65+) and students with ID $6; children under 18 free; CMCA members free. 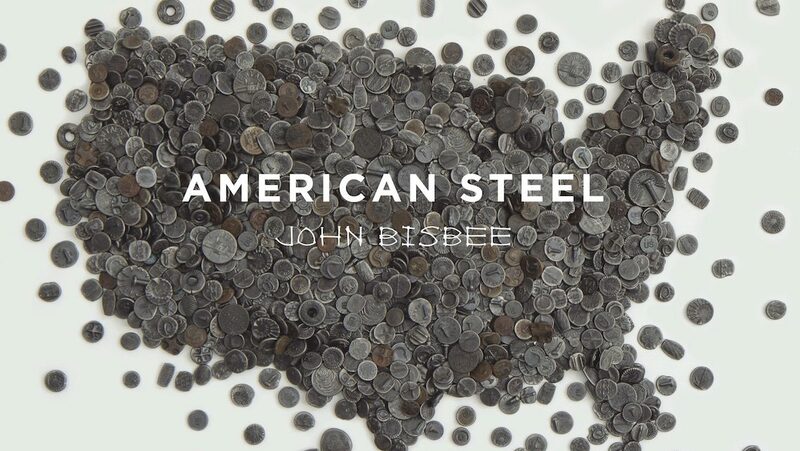 Images: John Bisbee | American Steel exhibition catalog; artist John Bisbee, photo by Andrew Estey.